With more than 20 years of industry-leading experience, we’re the experts you call to solve your fueling problems. As one the first and largest producers of LNG for alternative fuel use in the US, our team has spent years confronting some the most difficult fueling challenges, acquiring unrivaled expertise while providing support to some of the largest natural gas fleets in North America. While we produce nearly 100 million gallons of LNG every year, we've also developed some of the most efficient and reliable solutions, services, and procedures to ensure we keep our customers and their businesses running smoothly. Fueling at a station can be an inefficient process, costing valuable time and money. With our resources and personnel, we are fully equipped to bring the station to you. No matter if you have a large fleet or just a temporary project, Applied LNG is ready to provide fueling solutions on your site at any hour of the day. LCNG stations use LNG to make CNG and are typically built due to inadequate natural gas pipeline access. 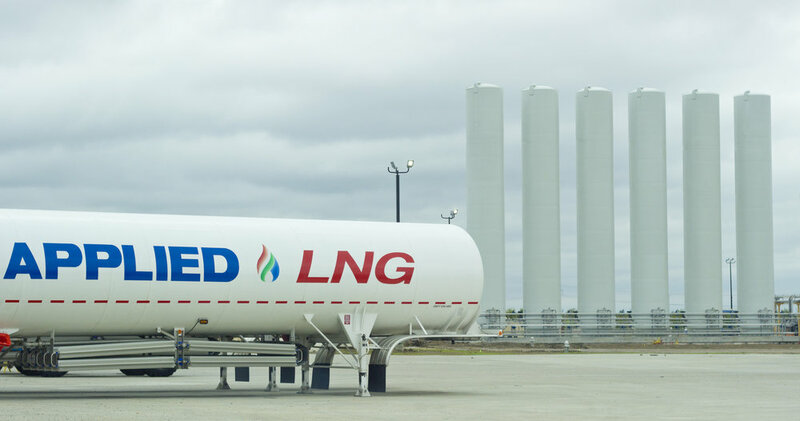 Applied LNG provides the fuel and the expertise needed to operate and maintain temporary and permanent refueling stations. Combining responsiveness and reliability, Applied LNG provides some of the most sophisticated logistical support in natural gas fuels. With our privately owned fleet of 48 cryogenic tank trailers, we provide 24/7 liquid deliveries and transportation to anywhere in North America. Our turn-key solutions go beyond providing fuel for your fleets and projects. Look to us to provide the most up to date information on state and federal grants and financing opportunities. Applied LNG has the experience you want when it comes to regasification projects. We are the industry leaders in pipeline integrity testing, temporary natural gas supply, and any other emergency natural gas projects. If you put your trust in our technicians, it will be business as usual. Our reliability and customer service are what make us unique. We always ensure that the appropriate security, planning, prevention, and risk mitigation are provided for every solution, every step of the way.